20 February 2013: Malvern, UK: Viscotek multi-detector gel permeation chromatography (GPC) systems for highly productive, information rich, polymer characterization will take center stage on the Malvern Instruments booth at the 2013 SPE International Polyolefins Conference, Houston TX, USA, 24th to 27th February 2013. Capable of measuring absolute molecular weight distribution, molecular size and structural characteristics, such as extent of branching, in a single experiment, these systems provide the understanding required to engineer today’s high performance polymers. For a polymer, molecular weight and molecular weight distribution directly impact performance. GPC is the technique usually employed for measurement. 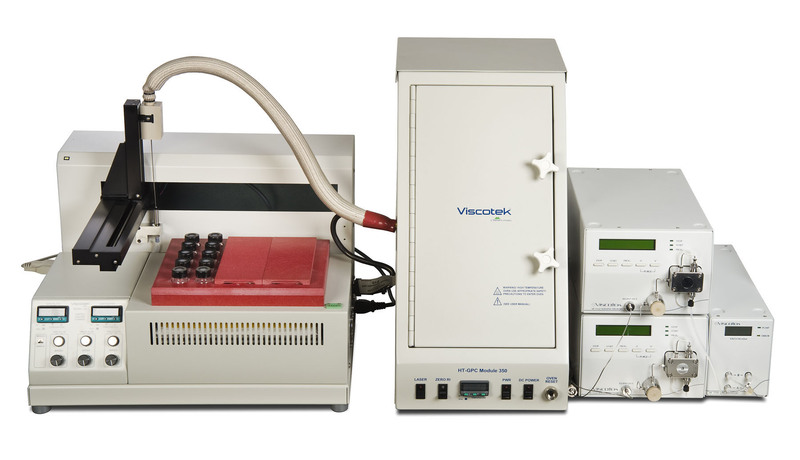 Malvern Instruments’ technology for polyolefin characterization includes high temperature versions of the Viscotek TDA Max multi-detector GPC system and of the dilute solution viscometry (DSV) system, which offers safe, efficient, high throughput intrinsic viscosity (IV) measurement. IV directly correlates with molecular weight and is a commonly specified QC metric. 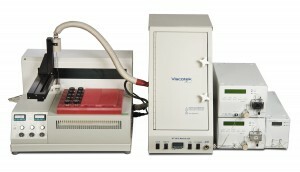 Both systems are designed to operate at the high temperatures (up to 160oC) required for the complete dissolution, and analysis, of polyethylene and polypropylene. For polymers that can be analyzed at lower temperatures, Malvern offers a range of detectors that can be added to any GPC system to enhance information flow. These include, UV detectors which can quantify, for example, the amount of each monomer in a copolymer, and light scattering detectors that measure molecular weight distribution without calibration. In combination with a viscometer these enable the investigation of molecular structure. The theme of the conference is “The Polyolefin Renaissance”, a timely topic as polyolefins are fashioned into increasingly high performance materials that meet exacting requirements in, for example, the packaging, fabric and construction industries. To engineer these materials polymer scientists require ever more sophisticated materials characterization, that deliver in short timescales. The evolution of GPC from a simple, single detector technique to one where multiple detectors are applied together to enhance information gathering exemplifies the required transformation in analytical approach.